Fungi interact with many different species of plants, animals and other fungi, as parasites, mutualistic symbionts or decomposers of dead organic matter. Most macrofungi in forest ecosystems are either wood decomposers, litter decomposers or mycorrhizal root associates. Some macrofungal species are involved in very specific associations with animals, e.g. Termitomyces spp., which are associated with termite colonies. All these fungal species are involved in important ecosystems processes and services, such as biomass turnover and nutrient cycling. 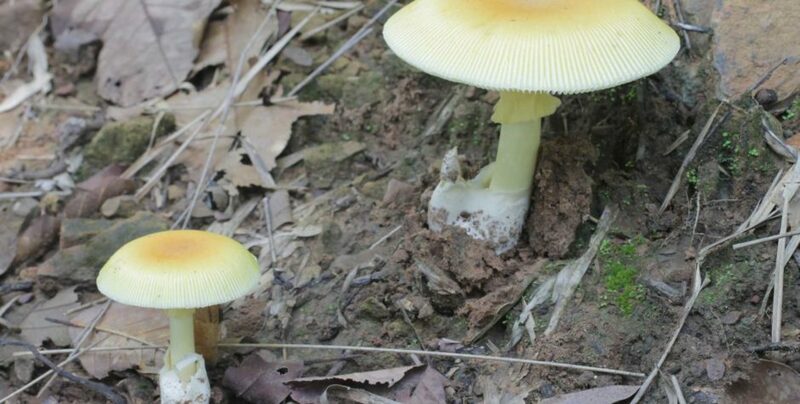 Fungi are an essential part of soil food webs, and they are vital mycorrhizal partners particularly of the Dipterocarpaceae, one of the dominant tree families and a major source of timber in South East Asian (sub-)tropical forests. Despite their importance, the diversity of fungi and the specific ecological roles of many species are still poorly understood. The research proposed here aims to add another piece of knowledge to this big puzzle. Two main forest types are characteristic for Sakaerat Biosphere Reserve: Deciduous Dipterocarp Forest (= Dry Dipterocarp Forest; DDF) at lower altitudes and Seasonal Evergreen Forest (SEF) at higher altitude. Bamboo Forest (BF) occurs in relatively small patches. The different forest types are distributed along a complex gradient of elevation, inclination, precipitation, soil fertility and disturbance history. The main forest types are determined by forest fire history. They are rather diverse aggregates and can be divided in more narrowly defined types with specific tree species compositions. The dominant and co-dominant tree species (mostly Dipterocarpaceae) differ between sites in both DDF and SEF, even within small areas (Bunyavejchewin 1999; Sahunalu 2009). The environmental conditions in the sites of DDF are considered relatively harsh for tree growth, and the high proportion of obligately ectomycorrhizal Dipterocarpaceae in these plots underlines the significance of ectomycorrhizal symbiosis in this forest type (Sangwanit and Sangthian 1991; Ratchdawong 2006; Kaewgrajang, Sangwanit, Iwase et al. 2013; Kaewgrajang, Sangwanit, Kodama et al. 2013). Which species of macrofungi are present? How are they distributed in different forest types/subtypes? Do the different forest types harbour different macrofungal communities? Are there differences in abundance and species richness of different trophic groups of macrofungi in the different sites? Inventory: An earlier (2014) proposal of a strictly plot-based inventory needed to be relaxed, (1) to better represent the diversity of vegetation types and microsites of Sakaerat Biosphere Reserve and (2) to find fungi even in periods of drought. Fungal growth sites were recorded and mapped using a GPS device. Vegetation types (e.g. Dry Dipterocarp Forest, Dry Evergreen Forest, Gallery Forest, Canyon Forest) were be noted. The number of fungal sporocarps were quantified according to abundany classes: 1-3, 4-10, 11-30, 31-100, etc. based on counts or estimates in case of numerous fructifications. Field notes included information on substrates, neighbouring tree species and growth conditions. Respresentative specimens were sampled individually for further identification and documentation. Documentation of fresh fungi included photography and macroscopic descriptions. Samples were preserved by rapid drying with a fruit dryer Microscopic analysis was done with fresh or dried specimens (still ongoing). Identification was done in cooperation with Asst. Prof. Dr. Uthaiwan Sangwanit and with her successor, Dr. Tharnrat Kaewgrajang using the available literature (e.g. Chandrasrikul et al. 2008) and the descriptions made. Selected samples will be further anlyzed by DNA sequence analysis (nuclear ribosomal ITS region), to support the morphological classification. The taxonomic work is ongoing. Weather conditions, particularly humidity, is a decisive factor for the phenology of macrofungi. In 2015, a severe drought linked to the el Nino phenomenon had resulted in the dying off of trees. In 2016, the rainy season had a first peak in July 2016. The first weeks of my research period were relatively dry, again. The best period of fungal growth was in the last week just before my departure, after a few weeks of frequent, heavy rains. During his visit at SERS in 2014, Alexander Urban, Department of Botany and Biodiversity Research, University of Vienna, Austria, had the opportunity to study macrofungal biodiversity in various types of seasonally dry forests of Sakaerat Biosphere Reserve in Central-NE-Thailand for the first time. In 2016, with improved knowledge of sites, tree species and fungal species it was possible to add more species to the list of Sakaerat macrofungi, and complement the distribution patterns of some species already observed in 2014, thereby adding substantial data to the field study from 2014. The question of fungal diversity in the (sub)tropics compared to temperate and boreal environment is essential for global biodiversity estimates (Hawksworth 2001; Tedersoo, May, and Smith 2010). 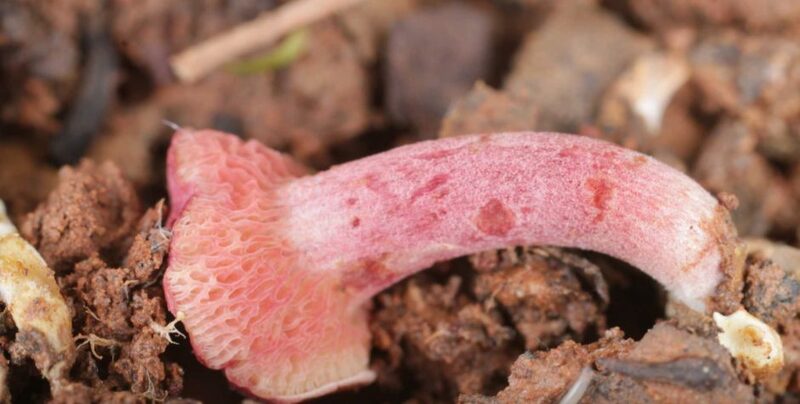 Both classic taxonomic and environmental DNA based studies suggest that SE-Asia is a hotspot of fungal diversity, too, which is in need of more research. Urban was aware that it usually requires long-term to research to obtain an approximately complete macrofungal species inventory, and that during a short research visit he will be able to record a limited portion of the local macrofungal diversity only. He sees his planned work just as one contribution to the big puzzle. 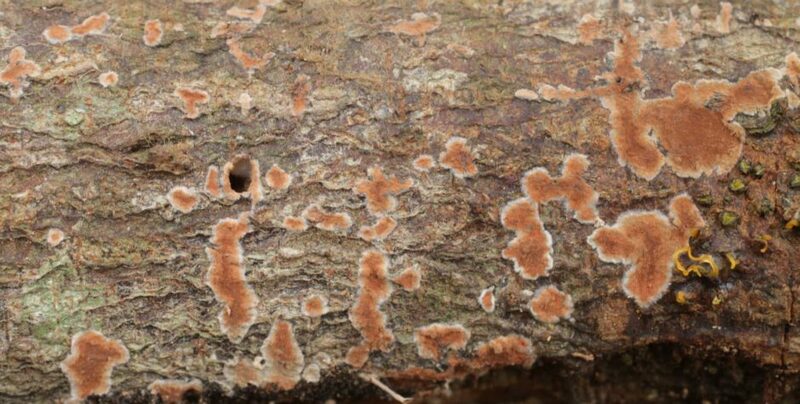 This work will contribute to the knowledge of macrofungi at Sakaerat biosphere reserve, and to the understanding of their roles in the ecology and biodiversity of forest types present. This research will add new data to the existing checklist of macrofungi in Sakaerat. Linking fungal biodiversity to forest types will provide very useful information for reserve management. It is an important opportunity for Alexaner Urban to extend his knowledge of macrofungi to another biogeographic region and climate zone. This extension is facilitated by the fact that many of the genera of macrofungi ocurring in Southeast Asia are present in Europe as well (e.g. Russula, Lactarius, Cantharellus, Geastrum, etc. ), and it is a great pleasure to extend and deepen the cooperation with mycologists from Thailand. 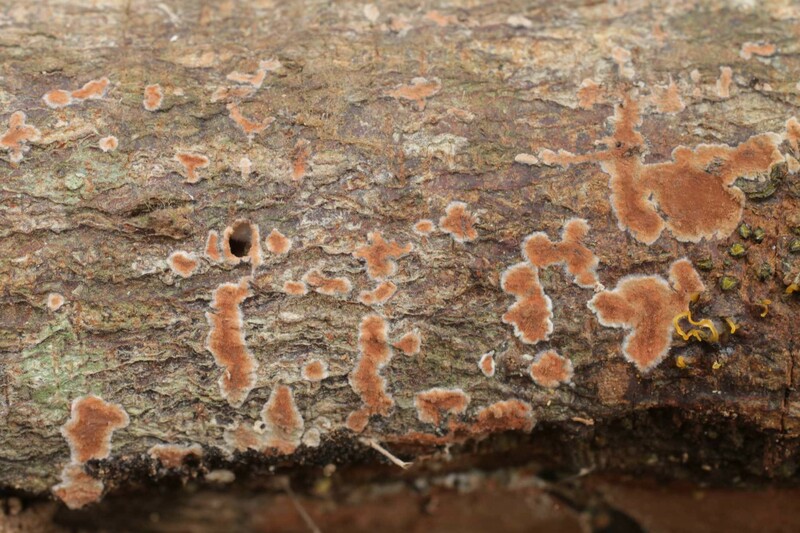 – One paper on distribution patterns / ecological niches of macrofungi at SERS. – Taxonomic work on selected genera in cooperation with specialists. Alexander Urban was invited by Dr. Colin Thomas Strine, Suranaree University of Technology, Nakhon Ratchasima (capital of the province Nakhon Ratchasima, were Saraerat Biosphere Reserve is located) to present his work to students and researchers in the department seminar. The research stay in Thailand was funded by an ASEA-Uninet grant. Bunyavejchewin, Sarayudh. 1999. „Structure and Dynamics in Seasonal Dry Evergreen Forest in Northeastern Thailand“. Journal of Vegetation Science 10 (6): 787–92. doi:10.2307/3237303. Chandrasrikul, A., P. Suwanarit, U. Sangwanit, T. Morinaga, Y. Nishizawa and Y. Murakami. 2008. 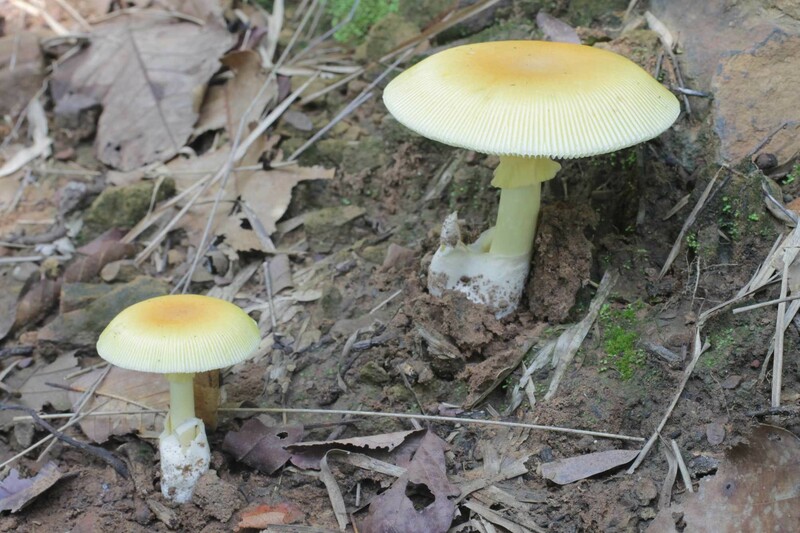 Diversity of Mushrooms and Macrofungi in Thailand. Kasetsart University Press, Bangkok. 514 pp. Hawksworth, D.L. 2001.The magnitude of fungal diversity: The 1.5 million species estimate revisited“. Mycological Research 105 (12): 1422–32. Kaewgrajang, T., U. Sangwanit, K. Iwase, M. Kodama and M.Yamato. 2013. 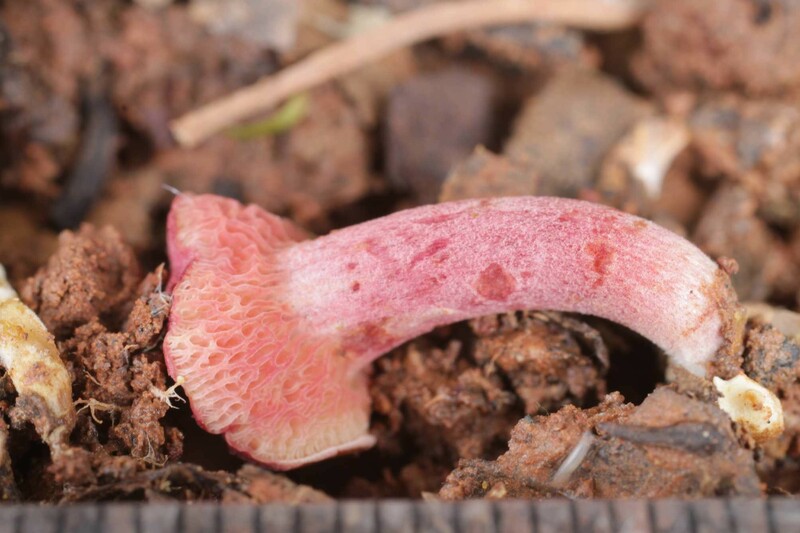 Effects of ectomycorrhizal fungus Astraeus odoratus on Dipterocarpus alatus seedlings. Journal of Tropical Forest Science 25(2): 202-205. Kaewgrajang, T., U. Sangwanit, Motoichiro Kodama, Masahide Yamato. 2013. Ectomycorrhizal fungal communities of Dipterocarpus alatus seedlings introduced by soil inocula from a natural forest and a plantation. J. For. Res. (Publish on line – 05 July 2013): 1-8. Sahunalu, Pongsak. 2009. „Stand Structure and Species Composition in the Long-term Dynamic Plots of Sakaerat Deciduous Dipterocarp Forest, Northeastern Thailand“. Journal of Forest Management 3 (6): 1–20. Sangwanit, Uthaiwan and Tanuwong Sangthian 1991. Ectomycorrhizae of Dipterocarpus alatus Roxb, pp. 45 – 57. In Proceedings of Pre-workshop of BIO-REFOR. Mar. 26 – 28, 1991. Bogor. Tedersoo, Leho, Tom W May, aund Matthew E Smith. 2010. „Ectomycorrhizal lifestyle in fungi: global diversity, distribution, and evolution of phylogenetic lineages“. Mycorrhiza 20 (4): 217–63. doi:10.1007/s00572-009-0274-x. Urban A. 2007: Molecular Methods for the identification of ectomycorrhizal fungi. In Mycotechnology: Current Trends and Future prospects. (ed. Mahendra Rai) I.K. International Publishing House Pvt Ltd, New Delhi, pp 163 to 172. Yuwa-Amornpitak, T., T. Vichitsoonthonkul, M. Tantichroen, S. Cheevadhanrak and S.Ratchdawong. 2006. Diversity of ectomycorrhizal fungi on dipterocapaceae in Thailand. Journal of Biological Sciences 6(6): 1059-1064.